If you looked through the course catalog at the School of Social Service Administration, the word "music" would not be in even one title. Yet Valerie Strattan Guerra, AM '13, whose skills include implementing music therapy interventions, says that SSA is a perfect fit for her as an empowering community. SSA had 3 students who received Albert Schweitzer Fellowship in 2011-12. All recently completed their projects which ranged from music interventions with children to clinical interventions with incarcerated women to addressing food insecurity and unemployment. Read more about Valerie Strattan-Guerra (left), Kashmir Kustanowitz, and Pierre J. Rowen. "Music interventions have been wildly successful with refugee and immigrant children, as well as with adults who have experienced trauma. SSA has given me the structure and theoretical underpinnings to understand why. Having played the violin since I was five years old, I knew that music had significantly helped me in math, reading, and psychosocial development. In my classes at SSA, I am learning how the trauma-affected brain needs interventions, like music, that regulate not only the brain but also the body and emotions," Guerra says. 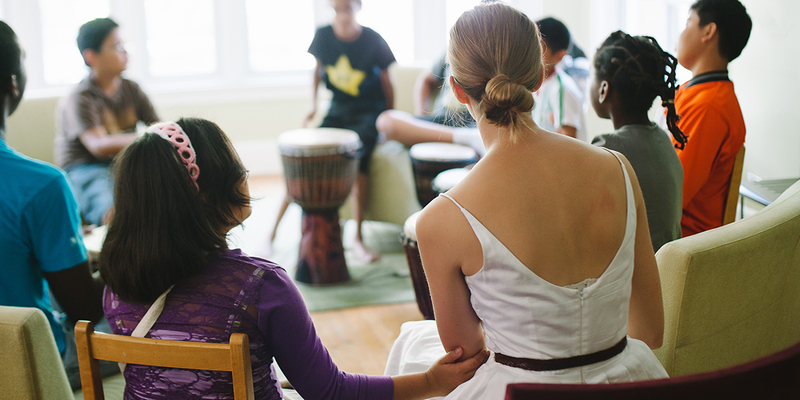 During the summer of 2012, Guerra completed an Albert Schweitzer Fellowship where she implemented a music therapy project for refugee and immigrant children who had experienced trauma. While researching the fellowship, Guerra was struck by uncanny similarities between herself and Albert Schweitzer. "He was a classically trained organist; I am a classically trained violinist. He studied theology; I studied theology at Moody Bible Institute in Chicago. Then he dedicated his life to working with underserved communities around the world. I knew I had to apply," Guerra says. For her Schweitzer Fellowship project, Guerra partnered with Family Matters, a community-based agency in the Howard/North Rogers Park neighborhood of Chicago. She led group sessions for children that focused on building self-esteem and using music to regulate and express emotions, culminating in two performances. Guerra used research techniques she learned at SSA to perform a community needs assessment and track individual outcomes for the children, who were from Burma, Bhutan, the Democratic Republic of the Congo, Haiti, Mexico, and Nigeria. Guerra initially became involved in the refugee community as a tutor in the Chicago Public Schools. She then took an AmeriCorps position at a refugee resettlement agency. It was there that she not only decided to focus her career on clinical work with refugees but also met two students doing fieldwork who introduced her to SSA. 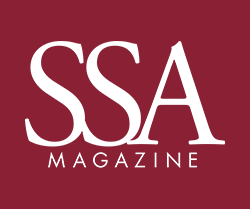 "In addition to really connecting with these students, I was impressed when I learned more about SSA's reputation. I was drawn to SSA's emphasis on both the macro and the micro. I knew that to be effective with the refugee population I needed to have a solid grasp of both. I am also honing useful skills like grant writing and program evaluation," Guerra says. Guerra goes on to say that her fieldwork at SSA has been invaluable. Her first-year placement was with formerly homeless individuals with severe mental illness and substance use disorders. She is now conducting individual and group therapy at Heartland's International FACES refugee mental health clinic with adults who are struggling to reconcile past trauma with present circumstances. "One of the most significantly empowering experiences for our alliance is when participants teach me a song from their home. I love that together we can build on this sharing of music as a universal language to regulate bodies and minds that have been affected by trauma. Where once I thought my music life and social work would not intersect, I now believe that—if I am to work out of my own strengths as a clinician—they must intersect," Guerra says.